Surely the fact that people want to drink large quantities of this on a daily basis would raise suspicion? Have you caught onto the latest ‘health’ drink craze yet? 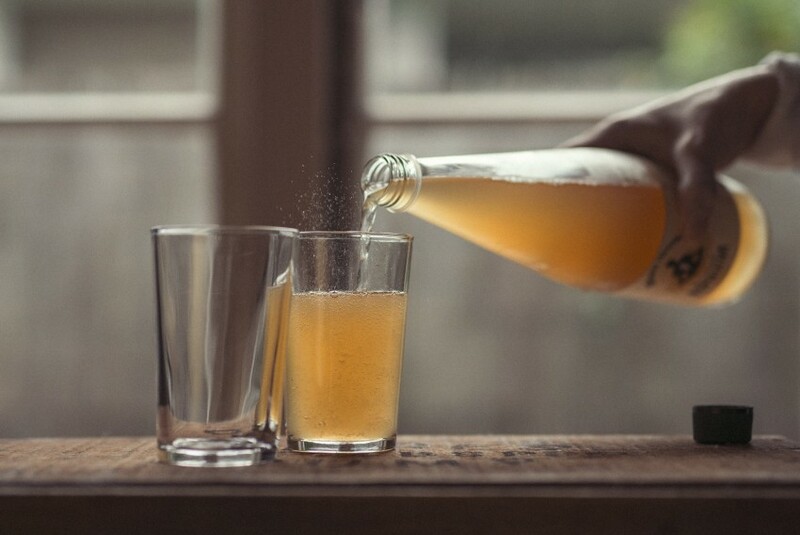 Kombucha — a slightly sweet, subtly tart, fizzy, fermented tea. It is made using Tea leaves (dried Camellia sinensis), table sugar, and water. A Symbiotic Colony of Bacteria + Yeast (SCOBY) is used to aid the fermentation process. And rather than purchase it from a store (as it’s around $5 for 300ml), some health bloggers + facebookers recommend that you make your own ‘home-brew’ using a hand-me-down SCOBY (which contains, who-knows-what types of gremlins — good or bad). This gives inexperienced consumers control over the taste profile, and the alcohol content of their ‘Booch’. This is not a wise idea. Note: Kombucha is referred to as ‘Mushroom Tea’ as the SCOBY looks like a giant slimey mushroom. Goobies, SCOBY's, Scabies — Don't we usually think it's a bad thing to pass on germs?! If you google Kombucha, you’re either going to get people raving about this effervescent beverage, or you’ll get people saying there is no evidence to substantiate any of its purported health claims (while this drink has apparently been around for centuries, it only started ‘trending’ in the last decade). It has been claimed that this probiotic beverage will improve your immune + digestive systems. Kombucha also apparently enhances your libido, increases your energy, stabilises your moods and detoxes you. So, what to make of all of this? You must make your own conclusions! Hopefully, not only will you take into consideration the information available to you, but you’ll also use your own nouse, to determine whether you’ll regularly partake or not. Me? I don’t drink this beverage. I have tried it a couple of times, but found it too sweet to drink without diluting it 50:50 with sparkling H20. But professionally? I would never recommend it to my clients for their health. Note: As a Naturopath, I have to make sure the probiotics I recommend to my clients are genus, species and strain specific e.g. Lactobacillus acidophilus (NCFM), Bifidobacterium lactose (Bi07), or Lactobacillus rhamnosus (LGG). These highly ‘specific’ bacteria have been researched and are known to make safe passage through and onto the intestinal tract in humans. I also have to make sure there are therapeutic levels of viable bacteria, that the bacteria have been produced, stored and transported correctly, and that there is no chance of harming my client. I would only ever indulge in a commercially brewed, unpasteurised Kombucha (as I did for this blog-post). At least this way, there is some sort of consistency or standard in what is being produced. The makers will be trying very hard to regulate the sugar + alcohol content of their product. They will also hopefully be au fait with bacteria + yeast specimens, the brewing process, and hygiene regulations! Note: Unfortunately, you’ve got to ask yourself who are the so-called experts producing this product, and promoting its health benefits? Are they really in a position to be doing so? Are they batch-testing to ensure quality, safety, and consistency? And, prior to their product being available in-store, how are they storing and transporting it? When imbibing a bottle of ‘Booch’, I am under no illusion that this drink is going to contribute to my good health, or that this product contains meaningful amounts of B-vitamins, antioxidants, specific acids or whatever else they think may be in my bottle of brew. I just hope that it doesn’t harm my health in anyway! Note: Did you know that you make your own B-vitamins? The good bacteria in your gut make them for your own use! This is why it is important to supplement your diet with a B-vitamin complex while taking antibiotics. Things I know for sure about Kombucha. It is primarily a mixture of: caffeine, sugar water, fruit juice or ginger, alcohol, and carbon dioxide. No wonder people love it — it's quite the cocktail! Proponents of this fermented beverage claim all sorts of benefits (again, all without any actual evidence). Don’t get me wrong, I love fermented foods and the occasional fermented grape juice (vino!). It therefore also prevents wastage. Therefore it makes it easier to absorb the nutrients from this raw food. It’s teeming with lactobacillus bacteria. The bacteria turn sugar into lactic acid — which gives this product its sour taste. Note: It would need to be an organic cabbage for this to occur naturally. Note: Wild fermentation simply takes longer to get an end-product. But as they say, ‘the good things in life are worth waiting for’. However, I JUST DON’T GET fermented tea (Kombucha). Camellia sinensis (The Tea Plant) is preserved when its leaves are drIED. The leaves have been (supposedly) naturally fermented via oxidation – during the drying process! Note: Yes, I’m talking about the tea leaves – not a ‘cup of tea’. And, technically oxidation + fermentation are not one in the same thing (something seems to have been lost in translation many moons ago). However, the point is…this point isn’t that pertinent to my overall argument. You simply tip hot water over it — and drink! Veggies + fruit can be fermented naturally (wild fermentation) — as they already harbour bacteria and yeast. Note: Kefir, Miso, and Yoghurt do need a starter. Who adds sugar these days? Aren’t we trying to discourage ‘added sugar’ in our diets? For some reason, people justify this by saying, Kombucha has a lot less sugar in it than what was initially added! Uh-huh… You keep telling yourself this. Comparisons are funny like that. You’re still creating more sugar than what would have been there in the first place. The idea of fermentation is that you use something that contains its own natural carbohydrate or ‘sugar’ (like fruit, veggies, and dairy products) and you end up reducing the overall sugar content. Note: Many Lactose (milk sugar) intolerant people find they can eat yoghurt, because the bacteria in the yoghurt have consumed virtually all the lactose during the fermentation process. 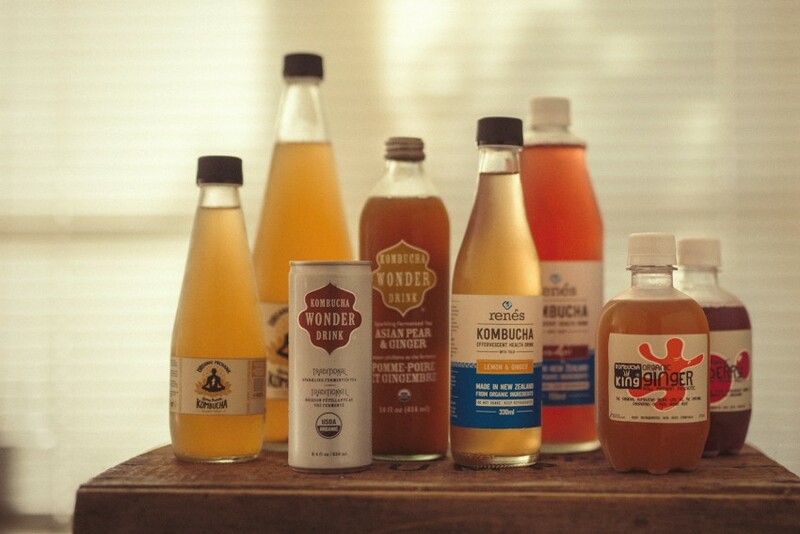 While a spoonful of sugar may help the medicine go down — I’m not actually convinced that Kombucha is medicine! Let's just think this through...shall we? What (if anything) grows up big + strong + healthy on a diet of sugar? Why would you think this product had anything ‘going for it’ over other fermented items? Might I suggest it’s because it’s more tasty? We have oodles of fermented foods on offer — why do we need a fermented tea beverage? 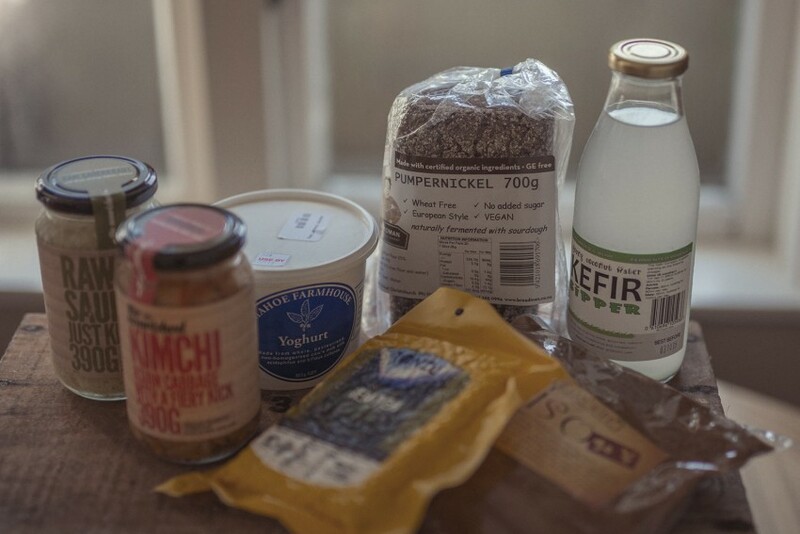 We already have: Kefir, Kimchi, Miso, Pickles, Sauerkraut, Sour cream, Sourdough, Tempeh, Tofu, Vinegar, and Yoghurt. Note: None of these are sweet, necessitate the need for added flavour (although you can), and if any of them were bubbling significantly… Well, you just know that this wouldn’t be good for your health. If you’re one of those people who insist that Kombucha improves your sense of wellbeing, maybe it’s because you’re drinking quite an intoxicating beverage? Again — it’s primarily caffeine, sugar, alcohol, and fizz!? Perhaps if you consumed one of the above foods on a daily basis you too would experience an equally (if not greater) beneficial effect on your health? Give me a break! There are far better ways to get good bacteria into your gut than by drinking 'Booch'! We would also promote stomach, liver, gallbladder and pancreas function to ensure that these organs were creating a hospitable environment for your good bacteria. (this latter bacteria is specifically sensitive to the effects of emotional stress). You’ll find the non-pasteurized Kombucha in the chiller. But then again, who would really know?! It all comes down to so many variables (e.g. who’s making it, different batches, and varying temperatures). C’mon, you just want this drink to be good for you, don’t you? And who wouldn’t? It’s sweet. It’s flavoured. It’s fizzy. It’s fun. It’s relatively novel. Note: Consideration would also have to be given as to whether it could be taken with certain medication. If you’re going to make and/or drink this sparkling stuff, embrace it for what it is — rather than what you think it is. IT IS a fabulous substitute for the occasional ‘fizzy drink’ or alcoholic beverage. Watch out for hidden sugar! If you drink a whole small bottle of Kombucha (as most people would), you are actually consuming between 2–2.5 serving sizes. This means you’re consuming a lot more sugar than you think you are! It really pays to check the nutritional panel on the back — and thoroughly! 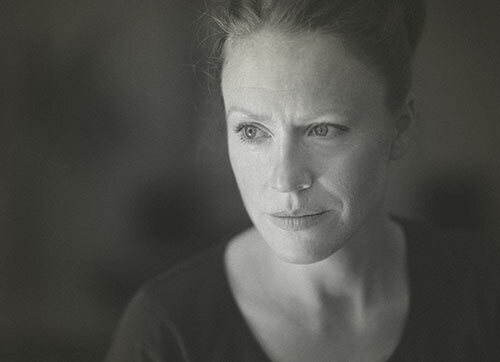 — How many mls are in the whole bottle? — How much THEIR recommended serving size is? — How many recommended serving sizes are there in their bottle of Booch? Note: these sizes differ from brand to brand. — You’re looking at the right column! Multiply the ‘per serving’ amount of sugar by the ‘servings per bottle’. This is where all those acceptable levels of sugar (2–3g) on the label suddenly lurch up over that undesirable ‘1 tsp’ mark. Note: Most of the larger bottles of ‘Booch’ contain around one Tbsp of sugar. We like Organic Mechanics Kombucha (it’s ginger infused). It’s nice + dry (not noticeably sweet), it’s got a strong flavour (without being over-powering), and it’s got just the right amount of bubbles. Note: We’ve compared this to Kombucha King, Kombucha Wonder Drink, and Rene’s Kombucha. We don’t like these because they are either too sweet, the flavour is too ‘dilute’ or over-powering, or it’s pasteurised. Does any good come from effervescence? I don't know about you, but if I start producing gas — because the bacteria + yeast in my gut have started fermenting something — it's not a good thing!